So my last post was wrong; Wednesday’s stadium task force report didn’t officially name a preferred site. But I think this was just a political move, since it’s impossible to miss the subtext of “East Perth is best” in the report. Their concept design is undeniably awesome, and I’d love to hear a State official announce that it’ll go ahead without further delay — not that that’s likely. Also, it’s worth noting that the task force’s work is much more carefully considered than some observers seem to think — for instance, they present an almost undeniable economic case for a single multi-use stadium rather than upgrades that preserve the status quo. There’s only one way that the BP & Rio Tinto proposal for a new power station at Kwinana can go ahead: big bucks from Canberra. (Given that Howard is looking for policies to improve his score on climate change, that’s hardly improbable.) From a local perspective, I don’t see all too much to praise. The proposal is for their new joint venture to convert coal into hydrogen and carbon dioxide, then store the latter under the sea floor. Aside from putting yet more stress (acidification even?) on an obscenely polluted Cockburn Sound, both companies admit this’ll be much more expensive than gas-fired power. Nevermind that natural gas accounts for 30% of WA’s electricity (most of which is in new facilities) and is subject to a domestic reservation policy that makes it an awfully attractive fuel. Briefly, I’m reasonably impressed by the plan to relocate FESA headquarters to Cockburn, since it might stimulate further growth (for instance, some of Parramatta’s current success came from the NSW Police relocating there). But given the State Government’s record with measures like relocating the old DOLA to Midland, I’m not so sure. And finally, I’m amused to hear of John Edwards’ new campaign funding source: pirate treasure! Tomorrow’s Sunday Times reports that East Perth is the recommendation from John Langoulant’s Major Stadia Taskforce. They’d previously rejected the Burswood proposal, which was my preference since it’d have allowed the creation of an awesome new district, but this is indeed the second-best site. At least there’s hope for integration with the river. The thing is, this is just a report recommending what, where, and how to build (and it took this long!). It’d be great to see even a vague sense of urgency on this project — a commitment to build, perhaps, or the commissioning of a notable architect. Instead, we have a drawn-out process that does a great job of considering a wide range of views … but doesn’t succeed on any other score. The headline of my community newspaper yesterday: “Stadium bid sunk”. The Major Stadia Taskforce announced, in its interim report, that its short list of sites consists of Mueller Park in Subiaco, and land near the old East Perth power station. Never mind that the former is a perfectly nice park (and as yesterday’s West Australian points out, plenty of people like it that way) while the latter is already earmarked for fairly radical redevelopment. When the Cockburn stadium bid was first announced, I thought it’d be an ideal way to encourage development at Cockburn Central — pubs, restaurants, and maybe a hotel or two — that would give the area a CBD flavour of its own, like a mini-Parramatta. This kind of development, after all, was decided as the most desirable outcome after the Dialogue with the City process (I should know, I was there!) 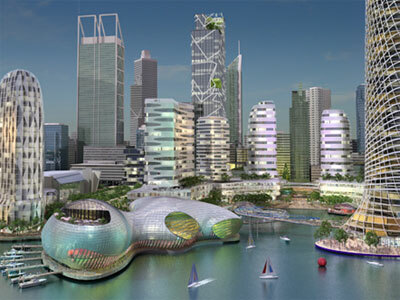 with a stronger Cockburn helping to drive the growth of a ‘networked’ Perth. But the task force seems not to care about that, giving barely three sentences to the bid and focussing instead on fluffy guidelines about “sports entertainment hubs”. 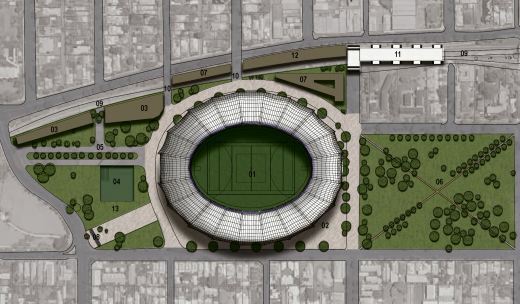 Heck, even the Belmont Park proposal is better than the sites in their short list. P.S. Something else jumped out at me in yesterday’s newspaper: yet another anti-OBE letter, this time from some professor at that so-called university in Fremantle, arguing that “post-structuralism … is just that, a theory”. Now while it’s not surprising for an average newspaper-letter-writer to not understand the formal meaning of ‘theory’, for an academic I’d say it’s no less than inexcusable.